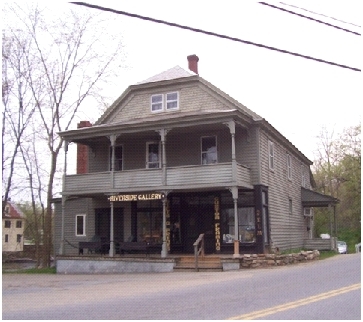 This circa 1840 store and residence displays mid-19th century, vernacular wood frame design with later 19th century Italianate Commercial modifications. 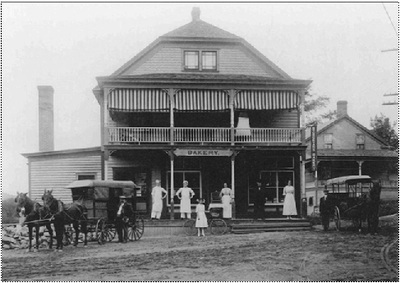 The two-story structure has a recessed storefront entrance, with 19th century sash, and two- story porch with turned wood columns. Windows are one-over-one sash. Queen Anne period modifications include a raised, hip over-gable roof with shingled detailing, original slate roof, and brick chimneys. 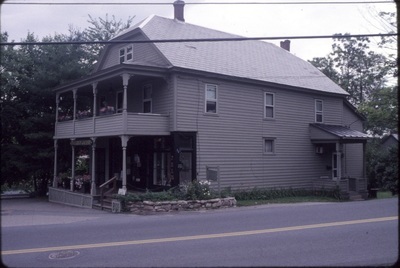 This building continues to communicate the 19th century commercial development of the hamlet. Sturdevan's Bakery moved to the lower end of Elm Street, where Riverside Gallery is currently located. From here he continued his deliveries throughout the area. He died on July 10, 1939 at age seventy-four. James was originally from Corinth and was married to Nettie Aldrich. Their daughter, Gertrude, married Loran Hoffman and they had a son, William. Gertrude died at childbirth in 1928. Loran subsequently married Ida Mae Nestle in 1931. After James Sturdevan's death in 1939, Loran and Ida Mae took over the bakery business and renamed it Queen Village Bakery. Loran operated the bakery until 1972. Riverside Gallery, located on the edge of the Schroon River at 3 Elm Street, is a picture-framing, decorating accessory and gift shop. It was opened by Lenore Smith on January 1, 1977, following her retirement from New York Telephone the previous month. Wilford J. (Woody) and Lenore Smith purchased the building in 1976. 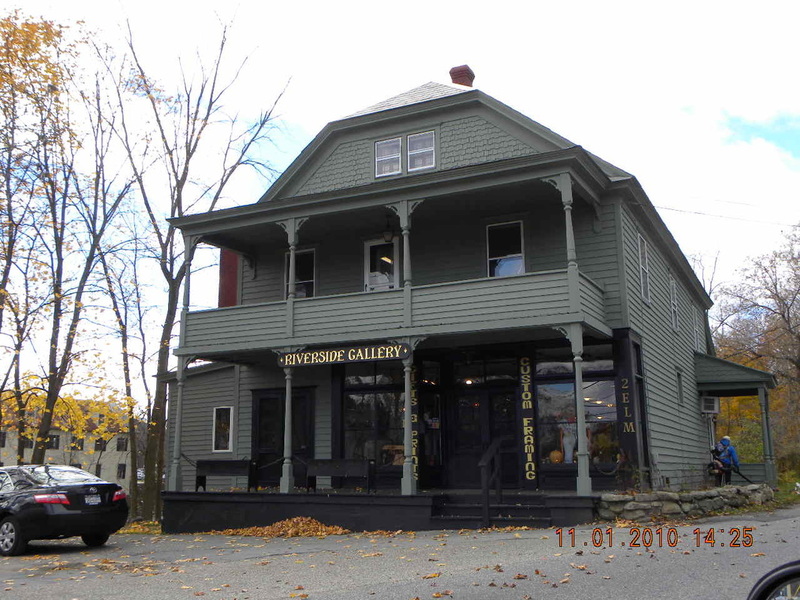 Riverside Gallery is currently operated by Mrs. Smith's grandson, MacLaren Richards. The building has a long history. 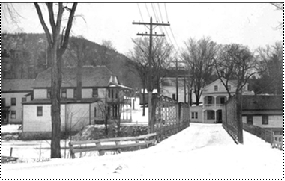 Built before 1845, Elias Pattison sold the building to Burhans & Gray in that year. 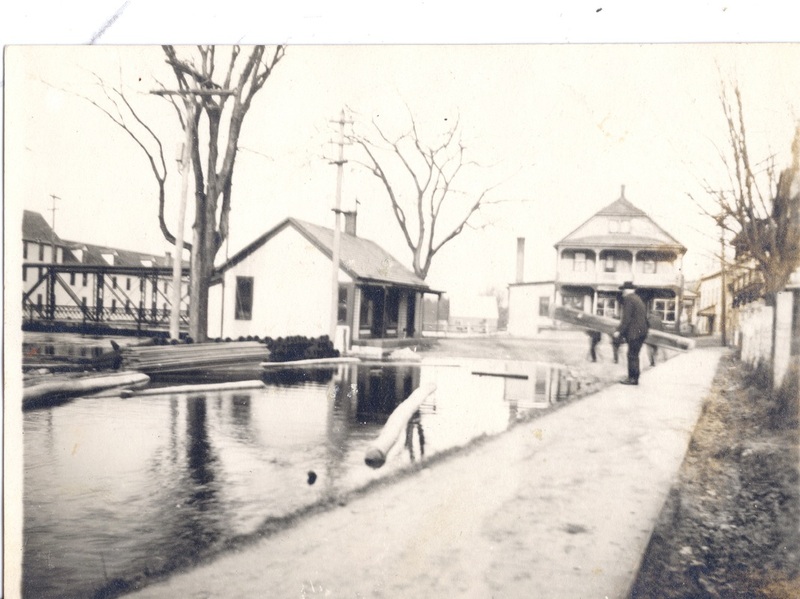 It was owned consecutively by Edna Landon, Halsey Herrick and Eli H. Pasco before being sold, in 1918, to James Sturdevan, who operated the Sturdevan Bakery there. Loran Hoffman, Sturdevan's son-in-law continued as Queen Village Bakery until 1972. Several others owned the building until 1976, when the Smiths bought it. Loran B. Hoffman (1894-1984), son of William and Ida (Bates) Hoffman, attended Warrensburg High School and worked summers in Sturdevan's Bakery where he became a baker. Loran married James Sturdevan's daughter, Gertrude, and they had a son, William. Gertrude died at childbirth in 1928. In 1931 Loran married Ida Mae Nestle. After Sturdevan's death in 1939, Loran took over the bakery business and renamed it Queen Village Bakery. He operated the bakery until 1972. In 1956 Loran Hoffman was elected as Justice of the Peace and served in this capacity for over 20 years. He was also active in the Masonic Lodge 425 for over 60 years. James Henry Sturdevan, born in 1865, started a bakery business around 1904. During the early years his wagons made deliveries in town on Tuesdays and Fridays. 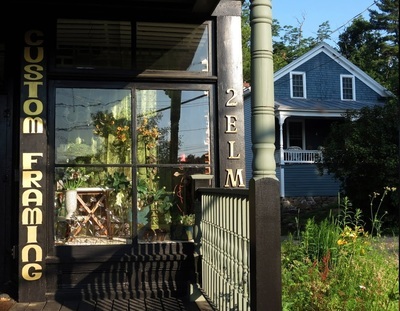 Later Sturdevan's Bakery moved to the lower end of Elm Street, where Riverside Gallery is currently located. From here he continued his deliveries throughout the area. He died on July 10, 1939 at age seventy-four. James was originally from Corinth and was married to Nettie Aldrich. Their daughter, Gertrude, married Loran Hoffman and they had a son, William. Gertrude died at childbirth in 1928. Loran subsequently married Ida Mae Nestle in 1931. After James Sturdevan's death in 1939, Loran and Ida Mae took over the bakery business and renamed it Queen Village Bakery. 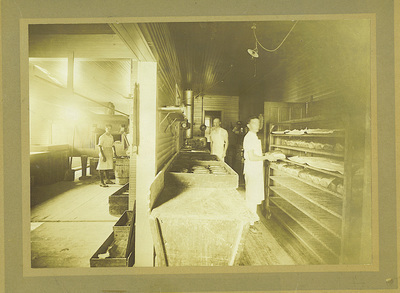 Loran operated the bakery until 1972.